Home › SEO | Social Media › Is Pinterest Good For SEO and Google Search? Is Pinterest Good For SEO and Google Search? Pinterest was the hottest social network for quite some time. After it has cooled off a bit some have stated that it is only a social network of women. Others have said that it is not all that social because there is no private messaging system. While those assumptions may be true it is hard to argue that Pinterest is helping businesses increase traffic directly from Pinterest and through search. For more on getting your feet wet with Pinterest use this resource: How to Get Started on Pinterest for Business. 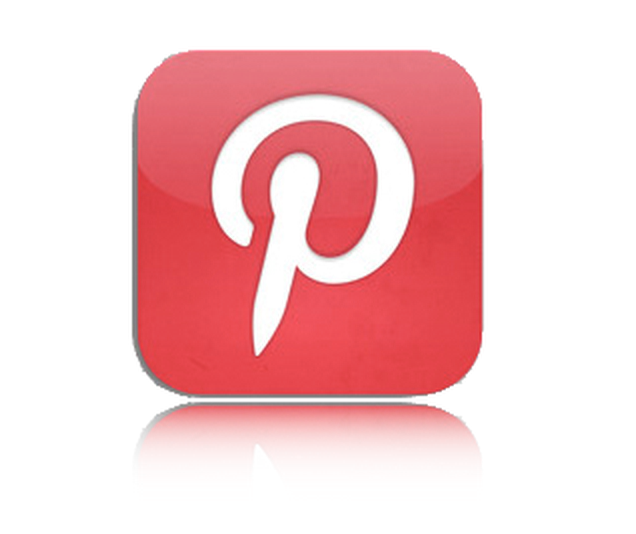 In terms of SEO and ranking in search I would consider Pinterest the second best social network behind Google Plus. With Google Plus obviously being a Google product it stands to reason it would have great SEO and search benefits. That said, I do not think businesses can discount Pinterest. Time and again we see articles related to Pinterest getting millions of dollars from investors. With Pinterest being comprised of women willing to spend money it makes sense that the social network is worth quite a bit. If you would like to get business from Pinterest while also increasing your search rankings feel free to reach out to me at jwojdylo@gmail.com as I have several monthly packages available. I can customize a package to suit the needs of your business or practice. Is There an SEO Strategy for Pinterest? Googlebot has full access to Pinterest which comes as no surprise as the creator of Pinterest is a former Google employee. I think he also understands just how much traffic can come through Google search. With both pin boards and specific pins being crawled and indexed by Google it makes sense to use this social network to both grow an audience and get social shares that could ultimately help with SEO. When looking in Google Webmaster Tools you will notice that specific articles or blog posts can have dozens or even hundreds of links from Pinterest. This means the pin has been repin by a large number of users. Each repin is a natural link back to your website. It is important to note that the value or each pin is determined by the user that has pin the article or photo. If the Pinterest user that repinned the article has 20,000 followers and over 5,000 repins there is a good chance they have created quite a valuable link pointing to your resource. Figuring out how much value each Pinterest user has is nearly impossible. Allow the Google algorithms to do that while you create a strong presence for your profile. Try to make your pins boards useful for what you do. If you are a fan of fitness and healthy eating make pin boards for that purpose. Something I have noticed with Pinterest is that specific categories get more interaction than others. With a large number of females on Pinterest it stands to reason that DIY, decorating, food and shopping are some of the most popular categories. Even though this is the case I would not sway from what you know. If you are not a shopper there is no reason to try and pin shopping related content. If you love college football you may want to create a college football pin board but recognize it will not get as much interaction or as many repins as your board on fitness or yoga. No matter what the board, each resource that is pin will be crawled and ranked by Google. Find a happy balance of engaging and repinable content and content you actually love. Something I encourage all social media users to do is to do what they enjoy. If you do not enjoy the look and feel of Pinterest there is no reason to try to build a huge presence. It never hurts to create an account and share content to the network, but do not fight a losing battle trying to get 10,000 followers. Just today I was discussing the difference in Reddit and Pinterest to a friend. They are polar opposites. If you enjoy reading content that is long form and in depth Reddit is the place to go. If you are much more visual and you enjoy photos with quotes on them, or infographics, you would enjoy Pinterest. While Pinterest has SEO value I would not urge users to try to make it work. Some verticals and subject matters do not play well with Pinterest. I have tried to build college football and lacrosse boards but the network is not ready for that yet. Does it mean it will never happen? Who knows. I have quickly learned it is better to go where the people of your industry are rather than trying to get them to come to you. If you were selling ice cold glasses of water would you set up shop in Alaska in the dead of winter? Think about this before jumping on a social network that is not conducive for your area of interest or business model. This is a question that gets asked way too often. Does it really matter if men are on Pinterest? Well, yes and no. It matters if you have a brand or product that is used by men. This is especially true if this is a product that is purchased by men. There is a difference in men’s dress shirts and a fly fishing rod. Men’s dress shirts are likely purchased by women; such as a girlfriend, mother or wife. It is highly unlikely that women are prancing into Orvis or Sage looking for that brand new 5 wt fly rod. This is something to think about before starting your Pinterest marketing campaign. As I have mentioned many times previously, there is nothing bad about creating a Pinterest profile and throwing up some boards. That said, do you want to spend three hours a day promoting fly rods if there are no men looking at Pinterest Pins? Likely not. For me, social media and SEO are a trial and error system. It is very difficult for me to believe anything I read or hear on the Internet these days. I am truly shocked at what some people claim to be true while I have tested it myself and know it to be false. I would strongly suggest giving it a try for one month. See what the response is. If you are getting little to no engagement and you have not noticed a change in your search rankings you may want to consider an alternate social network. If you would like to know what social network your audience is on please do not hesitate to reach out to me at jwojdylo@gmail.com as I have scoured them all. I have a firm grasp on where the different age groups are. Are you looking for men in their 20s and 30s? You’d want to go to Reddit. Are you looking for high school females? Tumblr is the place to be. If you have a unique product or service and you are looking to expand your research on social media reach out to me today. This is why I love my iPhone. 😀 Maybe Android won’t always be playing catch up. based on a couple feaures WITHIN an app? nah. id say feature for feature, on an o.s. level, ios is playing catch-up to jellybean. I have noticed that SOME boards get indexed by Google, but some don’t. There must be a metric that signals the indexing? Number of re-pins? Favorites? So figuring out the metric that gets a board Google indexed is confusing. Pinterest might be a late starter but I am finding quite a lot of shares on my website. It’s great to see a site for women doing so well. The internet is not just for guys. My site is female oriented.